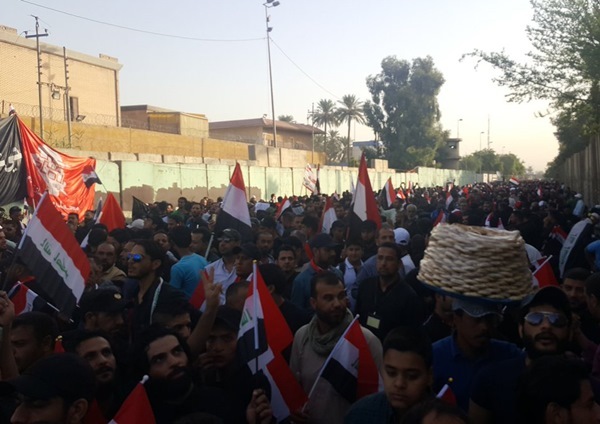 Thousands of Iraqis have staged rallies in front of the Turkish embassy in Baghdad to protest at Turkish troops’ presence in Iraq. 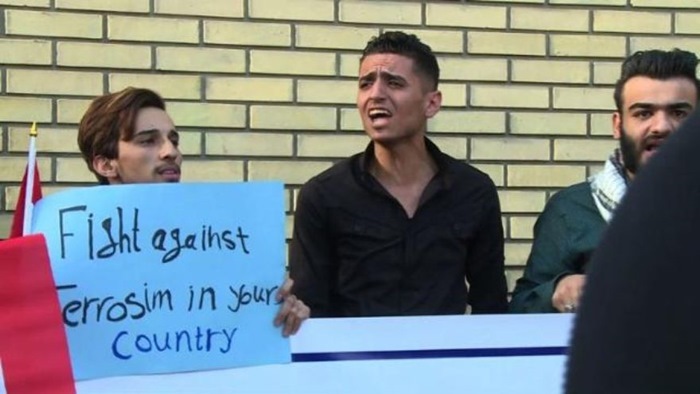 According to a report by Al Alam News Network, as translated by IFP, Iraqi people started their protest rallies in front of the Turkish embassy in northern Baghdad on Tuesday morning. The demonstrators chanted slogans in support of the Iraqi army’s operation to liberate the ISIS-held city of Mosul, and criticized the presence of Turkish forces in Iraqi territory. Turkey has been locked in a row with Iraq’s central government about the presence of Turkish troops at the Bashiqa camp in northern Iraq, and over who should take part in the ongoing assault on Mosul. Turkish soldiers have been training Kurdish peshmerga units at the Bashiqa camp near Mosul, and want them to be involved in the assault. Baghdad objects to the Turkish military presence there. “Nobody should talk about our Bashiqa base. We will stay there. Bashiqa is our insurance against any kind of terrorist activities in Turkey,” Turkish President Recep Tayyip Erdoğan said. It is “out of the question” for Turkish troops to stay out of the US-backed Iraqi army offensive to retake Mosul. Erdoğan’s comments came as Iraqi Prime Minister Haider al-Abadi announced that the long-awaited operation to reclaim the city has begun. In a sign that Turkey is trying to make some amends with Iraq, Turkish news reported on Monday that a diplomatic delegation is en route to Baghdad to discuss the offensive.